BBC News - What next for GM in Europe? 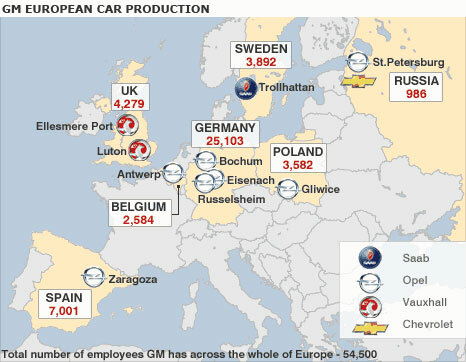 What next for GM in Europe? General Motors' (GM) decision to keep Opel and Vauxhall, rather than sell the two marques to Canadian parts maker Magna and Russian Sberbank, seems logical. GM never really wanted to get rid of its European operations, fearing it would hamper its global competitiveness, in particular in Russia, which is expected to emerge as Europe's largest market over the next few decades. GM Europe was put up for sale in the first place because the US car giant was forced to agree to sell Opel and Vauxhall ahead of bankruptcy proceedings during the spring, as US taxpayers were reluctant to also bail out GM's foreign operations. The European bail-out was thus left to the Europeans. Eager to save jobs at home ahead of a general election in September, the German government opened up its money bags, initially with a 1.5bn euros ($2.2bn; £1.3bn) bridging loan, later with 3bn euros of loan guarantees to Magna/Sberbank. 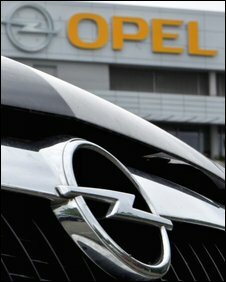 Opel still needs large cash injections, though whether Germany will still be willing to deliver them now that the election has been won is another matter. GM has agreed to repay the German loan, but beyond this cash injections from the US seem unlikely as the idea of subsidising foreign divisions remains unpalatable to the American people. It is therefore reasonable to expect that GM's next move will be made in European countries other than Germany. The Magna deal had been deemed unfair by both unions and politicians in Spain, Belgium and the UK where many were critical of a link between the German aid package and job guarantees in Opel's German factories. The European Commission will not allow assistance from European governments to be explicitly linked to jobs in their home countries, but there is little doubt that governments are reluctant to hand over taxpayers' money without getting anything in return - especially to help bolster a GM majority-owned by US taxpayers. The UK's Business Secretary Lord Mandelson has already offered support for what he described as "the right long-term sustainable solution". Expect some of his European counterparts to follow suit if and when GM comes up with a restructuring plan that evenly distributes job cuts more across Europe. Such prospects are unpopular in Germany, where the unions have said workers will lay down tools on Thursday to protest GM's decision. Yet the government there may find itself in a weak bargaining position when the time comes for it to square up to "the General", as GM is sometimes called. By then, GM might well be flanked by supportive business secretaries from other European nations, leaving Germany with no choice but to accept a greater share of the pain while still being presented with a substantial share of the bill.